Home Latest DANG SHALA SAMAY FERFAR KARVA BABAT PARIPATRA DATE-22-6-2018. DANG SHALA SAMAY FERFAR KARVA BABAT PARIPATRA DATE-22-6-2018. 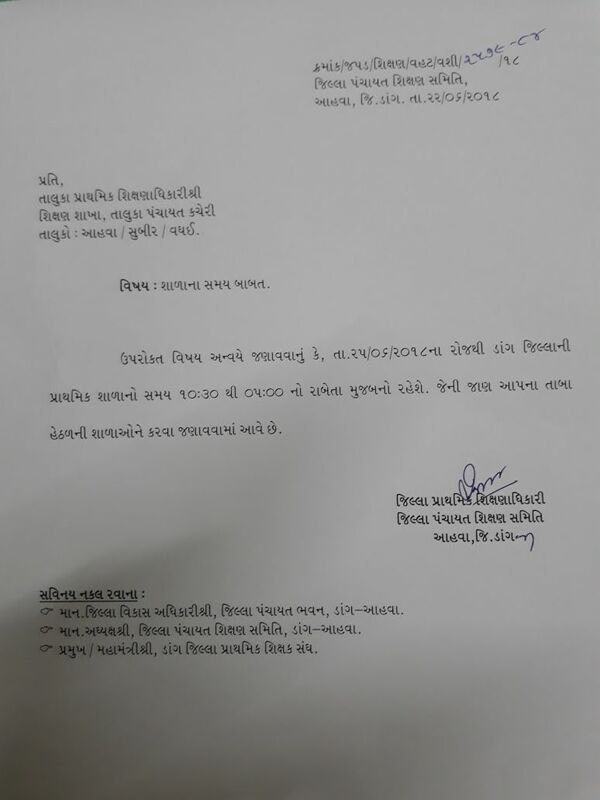 Previous articleMEHSANA – MR ZUMBESH YOJANA NI AMALVARI BABAT MAHTVAPURN PARIPATRA DATE- 20-6-2018. Next articleKUTCH – BADALI VALA SHIXAKO NE CHHUTA NA KARVA BABAT PARIPATRA DATE-22-6-2018.